We have an exciting opportunity for an excellent customer focused Telecare Installation Officer to join a highly multi-skilled team. The role will involve installing, testing, configuring, maintaining and repairing telecare assistive technology equipment. You will also be expected to travel across multiple sites to enable service users to become more independent and safe in their own living environments. The successful candidate will need to be practical, with strong communication skills and an ability to think on their feet. You will have strong experience of installing basic to more complex telecare equipment such as lifeline boxes, smoke and heat alarms, bed/chair sensors, property exit sensors, epilepsy sensors, GPS trackers etc. The ideal candidate will be confident in working with vulnerable adults and showing empathy for their needs. This role will be subject to an enhance DBS check. At least 5 years of technical experience in the social alarm and monitoring market, preferably from a vendor/supplier side. 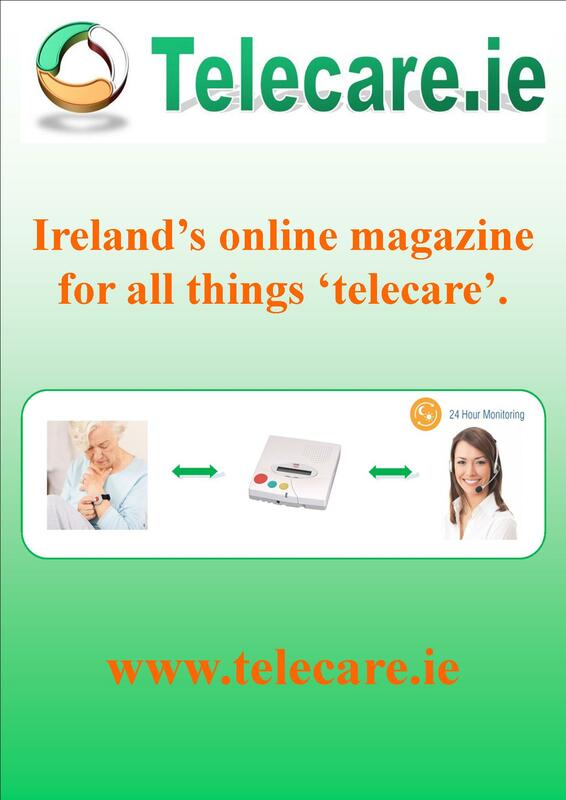 A proven track record of account management of leading service providers in the telecare domain. Tynetec & Jontek are key brand’s of the Assisted Living & Healthcare business unit of Legrand Electric Limited. They design, manufacture and supply Assisted living, Social Alarm, Telecare, Telehealth, TEC & Monitoring solutions to: Housing, Health & Social Care departments of Local Authorities, Housing Associations & Private care providers. Reporting to the National Sales Manager to develop and grow the TEC and Monitoring Solutions business in line with a set business plan in order to meet/exceed the set monetary and business related targets. Portfolio of products will include (but not be limited to): At Home Alarm range, telecare, telehealth, associated TEC products/solutions and the Jontek Monitoring Platform. knowledge of Assisted living, Monitoring centre, Health, Housing or Social Care markets. Some technical knowledge, ideally relating to the Company’s products. Self-motivated and capable of dealing with a fast moving, varied and demanding environment. Well developed communication and interpersonal skills – able to deal with people at all levels both in and outside the business. Base Location; it is essential that the candidate is suitably located within the South East sales region, with the ideal location being within or close to the M25 with good transport links into Central London. Competitive Salary, plus monthly target driven commission payments. Holiday; 25 days annual, plus statutory. Company car, laptop, tablet, phone. An exciting opportunity has become available at Doro Care as a Key Account Manager. Our KAM`s are responsible for looking after our existing clients, and also identifying and developing new opportunities in order to increase brand awareness and grow the business. The full Job Description and further details can be obtained by following this link. As part of the AXA Group, PPP Taking Care provides around the clock support to over 50,000 people. Through our personal alarm service we give people the confidence to live well and remain in the home they love. This is just the first step towards a greater ambition – to be the single source of products, services, information, and advice our customers can trust to take care of the essentials of life. We are looking to recruit a Helpline Advisor and Case Manager to join our team and help us achieve our ambition for growth. This is a new role where you will have the opportunity to expand our Customer Services Support function and lead a team enabling the development of future business. Due to the nature of the work, you must be compassionate, be able to act sensitively, have a calm approach at all times and a proactive “can do” attitude to achieve the best outcome for our customers. This role would be suited to someone with excellent customer service skills, and who has knowledge of the UK’s health and social care systems. You will have worked in a Commercial/Private sector environment, with experience of sales/lead generation. As the team grows there may be occasional weekend working. Provide information and advice to customers regarding all matters relating to people in later life, in order to support all their care needs. Be an “Expert Friend”, by providing clear guidance and support to the customer; to impart knowledge enabling the customer to make informed choices. Identify opportunities to cross-sell products and services that would support the caller and/or the needs of the “cared for” person. Provide case management support to customers who purchase our upgrade service. Be part of a wider team responsible for the sale of services to older people. Proactively seek opportunities for efficiency and optimisation across the department. A working knowledge of safeguarding for children and vulnerable adults. Salary: £22,000 – £24,000 p.a. The role will be subject to a Standard DBS Check. The position is based at our head office in Ashburton. Please apply with your CV and a covering letter to – hr&payroll@ageuk.org.uk. We are looking to recruit a Regional Manager to cover the north of England who will join our Operations team and play a key role in the success of PPP Taking Care and its ambitions for growth. This role will provide strong leadership to create a high achieving team responsible for delivering in-house home assessments and the implementation of equipment, products, and tools to customers to enable them to live happily and healthily in their own home. This role would be suited to someone who has previously managed a remote team and has experience of recruitment, training, absence management, performance, employee engagement and health and safety. You will have worked in a Commercial/Private sector environment, and have experience of working in a social care working environment. Deliver strong leadership to the team, demonstrate role modelling behaviour, and help drive performance. Become the technical lead for all installation and maintenance queries from the team. Have the ability to install all products in the PPP Taking Care range. Liaise with the Refurbishment Team Manager to maintain knowledge of current product specifications. Produce team performance indicators and be pro-active in seeking and delivering continuous improvement. Liaise closely with sales management regarding resource planning. Deliver all services in line with H&S, TSA & ISO 9001 operating procedures. Ensure full end to end investigation of complaints and incidents with root cause analysis. Undertake and maintain within the team the Safe Home Assessment & Trusted Assessor Training accreditation. Proven remote Sales Team management. Ability to set KPIs, and monitor and improve performance, with a “can do” attitude. Experience in setting KPI’s, monitoring and improving performance. Problem solving with a “can do” attitude. Salary: Negotiable, with car allowance. The position will be field based and as there will be travel involved with the role, you will need to hold a clean, valid driving licence. You will be required to work some weekends. We are looking to recruit a Sales Executive to join our team and help us achieve our ambition for growth. This is a new role where you will effectively process and convert incoming/outgoing sales leads through all channels, and take payments as required. You will create efficient appointments, and manage the field staff. This role would be suited to someone who is a “people person” who has an open and friendly attitude, and can demonstrate empathy towards customers. Achieve sales and conversion targets. Order collateral as required for prospective clients, and follow up as per KPIs. Complete all outbound calls and follow ups in line with current KPIs. Provide support to our Information & Advice Service. Experience of working with customers via the telephone. A confident and calm approach. The flexibility to work shift patterns. 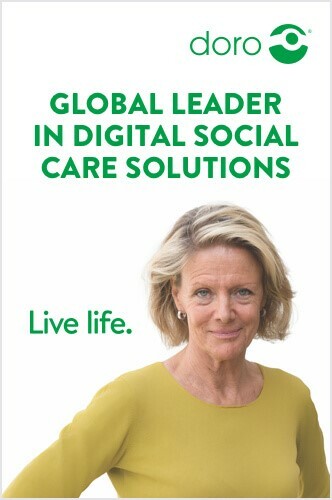 Working within a social care environment. A logical thinker who is able to think outside the box. We are looking to recruit a Sales Manager to join our team and help us achieve our ambition for growth. This is a new role where you will have the opportunity to grow our Sales function, and manage our new Helpline Advice & Case Management Service – leading the team to enable the development of future business. You will be expected to play a key role in the success of PPP Taking Care and its ambitions for growth by delivering strong leadership to the team, role modelling behaviour, and driving performance. Experience of working in a social care working environment is desirable. This role would be suited to someone who has previously managed a team and has experience of recruitment, training, absence management, performance, employee engagement and health and safety. You will have worked in a Commercial/Private sector environment, with strong sales experience. 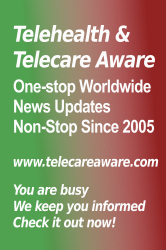 Manage the Sales Agents and Helpline Advisor & Case Managers effectively. Ensure all team members are fully trained in sales techniques, scheduling, products, and are up to date with the latest knowledge in social care. Set clear and measurable sales targets as per forecasts and budgets. Liaise closely with field management regarding resource planning. Develop, analyse, and produce Sales Management Information reports. Review and optimise the scheduling process. Monitor the success of the large corporate pilot phase through the setting and monitoring of performance indicators. Proven Sales Team management, with a “can do” attitude. Salary: £30,000 – £35,000 dependant on experience. The position is based at our head office in Ashburton. We are looking to recruit two Occupational Therapists – Field Team Coaches – one in the Manchester area to cover the North of England, and one in the Swindon area to cover the South of England – to join our team and help us achieve our ambition for growth. This is a new role where you will support our ambition by delivering in-home assessments and help with the implementation of equipment, products, and tools for our customers to enable them to live happily and healthily in their own home. You will be the “Team Expert” on Safe Home Assessments, and will coach and develop the competencies and abilities of the field based Safe Home Consultants. You will also be the point of contact for any queries relating to home assessments. Provide expert advice and coach the Safe Home Consultants. Support the Field Manager with training/coaching & development of the Safe Home Consultants. Visit customers in their home and conduct a home assessment to identify their needs regarding adaptations, and telecare, and other assistive technology. Provide advice on the best solutions, referring to third parties (from preferred suppliers) who can provide adaptations to the home, and upselling products to support the customer. Provide clear documentation and explanation to the customer on the best approach to meet their individual needs. Refer work to colleagues for the installation of assistive products during home assessment visits. Work within a multi-skilled team and provide specialist advice and knowledge sharing with colleagues. BSC/Diploma in Occupational Therapy, or equivalent. Be registered with the Health & Care Professions Council (HCPC). Possess knowledge of health and safety issues relating to supporting the elderly in their own home. Understanding the OT Professional Code of Conduct and its application in practice. Good IT skills including the ability to use customer management systems. Have the ability and experience of working autonomously. Experienced in planning and decision making skills. Salary: Negotiable with car allowance. The position will be field based and as there will be travel involved with the role, you will need to hold a clean, valid driving licence. Buddi has an opportunity for a dynamic and energetic Sales Account Manager to join our Health Sales Team covering the north of England. Ideally based around the M62 corridor, you’ll need to be a confident and self-motivated sales professional, able to demonstrate a strong and successful background, preferably gained within the health sector. As a Sales Account Manager your role will have a key focus on driving new business within a B2B environment, as well as building and developing existing customer accounts for organic growth. To do this, you must be proactive, highly organised, a strong communicator and empathetic, as well as possess a determination to be successful in a challenging and exciting environment. A passion for technology and a genuine desire to work for one of the leading technology companies in this market sector will be a distinct advantage. If this sounds like you, and you’re ready for an exciting new challenge, email your CV and salary expectations to fiona@buddi.co.uk and tell her in no more than 100 words why you want to work for Buddi, and what difference you will make to our team. Closing date 30 June 2017. The Key Safe Company are looking for 2 enthusiastic and motivated Business Development Managers, one for London and one for The North East, to join our busy sales team in the UK. You’ll need to be a confident, out-going and motivated sales professional, some-one who can bring a real energy to the position and the company. To be considered for the role, we would expect you to be a driven individual, not simply happy with target achievement but someone who covers their region fully and un-earths some real new business gems. We are the market leader in providing access solutions across a range of differing markets and pride ourselves on excellent service, excellent products and a real caring attitude. If this does sound like you and you’re ready for that challenge in 2017 please see job descriptions attached and apply now! Email your CV to ed.faulkner@keysafe.co.uk, look at our website and tell him why you would like to work for The Key Safe Company and what difference you will make to our team. Buddi are looking for two dynamic and energetic Sales Account Managers to join our Health Sales Team in the UK. You’ll need to be a confident and self-motivated sales professional, able to demonstrate a strong and successful background, ideally gained within the health sector. If this sounds like you, and you’re ready for an exciting new challenge for 2017 apply now! Email your CV and salary expectations to fiona@buddi.co.uk and tell her in no more than 100 words why you want to work for Buddi, and what difference you will make to our team. Kensington and Chelsea TMO is the first borough-wide housing organisation to give residents the power to decide how best to manage and maintain their homes. With 10,000 properties, we are looking for people who share our vision for the future. The Tenant Management Organisation’s Community Alarm Service (CAS) provide 24/7, all year round emergency monitoring, visiting , installation and Telecare services for elderly and other vulnerable clients in the community. An opportunity has arisen for an experienced operations Team Leader to join us at an exciting time of development for CAS, to assist the Head of Service by directly leading and managing the CAS team to deliver best practice, identify growth opportunities, and achieve our strategic and operational objectives in relation to the provision of monitoring, response and Telecare services. The ideal candidate will already have proven successful experience, ideally gained in a Telecare or call centre environment of performance managing a large staff team delivering 24/7 services, ensuring compliance with policies, procedures and service agreements, customer relationship management, and engaging stakeholders. They would also have the ability and experience to work as part of the team, motivate and coach the team to effectively meet their objectives and targets, excellent communication, IT and organisational skills, and ability to managed and resolve day to day operational issues on your own initiative and in a calm, sensitive and diplomatic manner. You should also be highly motivated to develop and promote the existing CAS service model in a positive and professional manner. If you would like to apply for this role please visit www.kctmo.org.uk and click on Vacancies where you will be redirected to Networx.